You’ll look fantastic and feel amazing the next time you shop at lookfantastic.com through Quidco. Earn cashback and find great offers on hair, skincare, electricals, fragrance, make-up and more when you buy your beauty essentials at Britain’s original online beauty boutique. With more than 350 big name brands, including MAC, ghd and Kérastase, across over 14,000 products, you’ll find something for everyone, whether you’re treating yourself to a pamper session or shopping for an extra special gift. 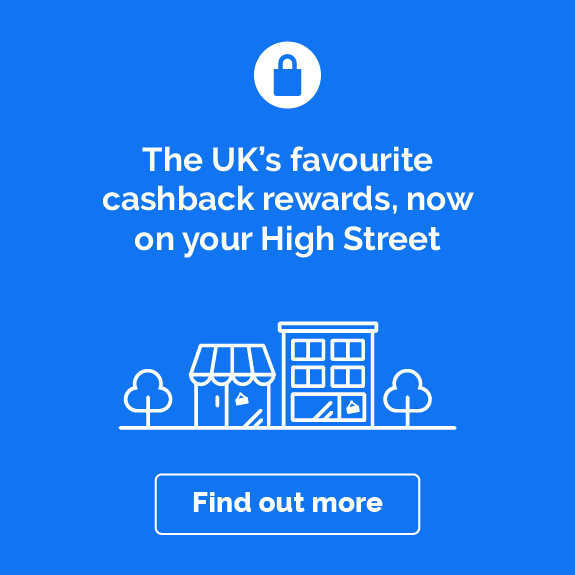 Do you want to know how to make the most of your lookfantastic cashback? Read on to get inspired on how you can start saving! Find your favourite haircare, skincare and cosmetics brands in one place at lookfantastic. Get salon-perfect results at home with Kérastase and the huge range of masks, elixirs, shampoos, conditioners and deep-nourishing treatments, like the Elixir Ultime Hair Oil and the Kérastase Densifique Conditioner. You’ll also find limitless styling possibilities with the huge selection of ghd electricals from straighteners to crimpers, dryers and curlers, including the ghd Curve® Classic Wave Wand for glamorous curls any day of the week. 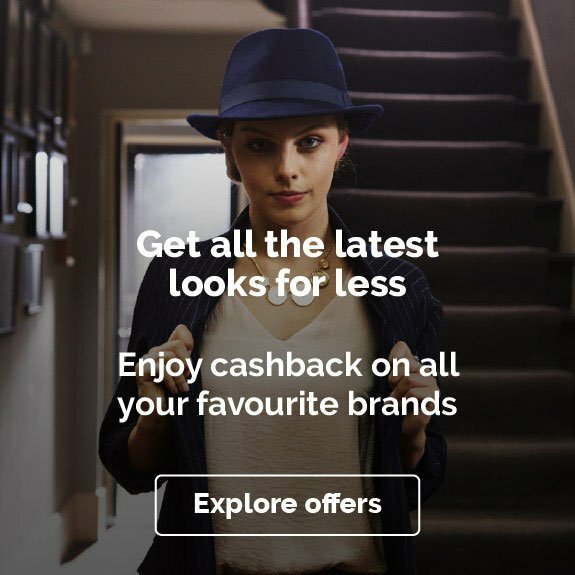 The next time you need to upgrade your make-up bag shop at lookfantastic.com through Quidco to find unmissable cashback deals on huge names in cosmetics. For the ultimate night out, you’ll find everything you need to create a statement lip and a dramatic smoky eye with MAC on lookfantastic. Shop for everything from long-wearing lipsticks, like the vibrant MAC Pop Lipstick, to shimmering eyeshadows, such as MAC’s Mischief Minx Eye Palette. To get flawless coverage on your everyday look find primers and foundations from bareMinerals, like the Prime Time Foundation Primer and the bareMinerals BAREPRO Liquid Foundation. Then for the finishing touch, add an extra glow with Benefit’s highlighters and brightening face powders, including the Dandelion Twinkle Powder Highlighter and the illuminating Benefit High Beam highlighter. Either shop by the brands you love already, like Urban Decay, Bobbi Brown and NARS, or search by what’s trending for the hottest make-up looks around to get inspired. And if you’re trying out something new, check out lookfantastic’s handy video tutorials and content hubs, like How to Contour and The Ultimate Face Mask Guide, to get a flawless finish and glowing skin every time. As well as cashback on ghd straighteners and stylers you could also make great savings with Quidco on brands like BaByliss, Cloud Nine and L'Oréal across everything from hair dryers to steampods for the next time you want to experiment with your look. When you’re ready to get glam for a big night out, check out the BaByliss Pro Titanium Expression Deep Waver for show-stopping hair that’ll help you make an entrance. Or how about going for effortless beachy vibes with The Curling Wand from Cloud Nine to get those loose, voluminous curls for subtle but stylish hair? There’s also a great range of trimmers and clippers – like the BaByliss for Men Super Stubble Trimmer or the Wahl Deluxe Chrome Pro Mains Clipper – and electrical skincare systems for everyone. Why not rejuvenate your skin with a PMD Personal Microderm, designed to exfoliate and stimulate collagen production? Or how about giving your grooming routine a boost with a Clinique for Men Sonic Purifying Cleansing Brush to gently purify and smooth the skin? With skincare like this delivered to your door, you won’t need to head to the spa, just indulge in some quality you time at home. Earn cashback as you shop for a lookfantastic Beauty Box with Quidco. A subscription to a Beauty Box lets you discover amazing new products and brands every month. Subscribe to either a one, three, six or 12 month rolling subscription to receive a brand new box through the post. Each box has a different theme every month, like a Christmas box ready for the party season or the birthday box edit, with expertly curated products worth over £40 inside. You’ll also receive a copy of ELLE and a Beauty Box magazine full of handy tricks and tips to get that make-up artist look at home. And what’s more, every Beauty Box comes with free delivery, so you can trial new premium products every few weeks without heading to the shops. lookfantastic Beauty Box subscriptions are on an auto-renewal basis. Should you wish to cancel your subscription, you can either turn off the auto-renewal feature in your account or contact the lookfantastic Customer Service team who will be happy to help you. To get a flavour of the kind of goodies you can expect in a lookfantastic Beauty Box see which of your favourite vloggers have been unboxing their latest delivery on YouTube. Or why not follow lookfantastic on Facebook, Twitter and Instagram to see what fabulous products were in last month’s Beauty Box? To place your first order with lookfantastic simply create an account then you’re ready to get adding those must-have beauty items to your basket. Once you’ve made your purchases, if you have not received your order yet you can visit your account for order tracking and to check the status of your parcel. Or if you’ve made a purchase and then reconsidered that item, you can head to your account to cancel that order or select which items you no longer want. lookfantastic will send you an email to confirm if your cancellation has been successful. However, if you’re unable to cancel your order, it could be that your delivery has already been processed and is ready to be sent to you. For more on order cancellations visit lookfantastic’s Help pages or contact their Customer Service team. Whenyou’re looking to save a little bit extra, you can get free delivery onlookfantastic orders if you select their Standard Delivery at checkout. But for those beauty products you just can’t wait for – maybe you’ve got a make-up bag emergency and have run out of your favourite foundation or you completely forgot about your best friend’s birthday and need a backup gift ­– you can get next day delivery. There are two options to choose from; the Standard Next Day & Saturday Delivery for £3.95 or the Premium Next Day Delivery for £4.95. You can also select their Sunday Delivery if you order between 6:00 am Friday and 3:00 pm Saturday. But make sure you enter your address at checkout to see which delivery options are available to you. If you’re not happy with your purchase, you should contact lookfantastic Customer Service within 14 days of receiving your item – this is just to make sure that the product hasn’t been opened. Let the team know why you want to send the item back and they’ll figure out the best next steps. If you’re due a refund from lookfantastic, you should receive this in your account within five working days. For full details on returns and refunds, double check lookfantastic’s returns policy for all the information you need. When you’re unsure of which foundation to go for or the right curlers to pick check out all the handy reviews on lookfantastic. Under each product on their website you can see what like-minded beauty shoppers thought about each item. There are helpful star ratings and short quotes from make-up, skincare and haircare fans who have tried and tested the products before. You can also state whether those reviews were helpful or not and write your own feedback on a product once you’ve given it a go for yourself. 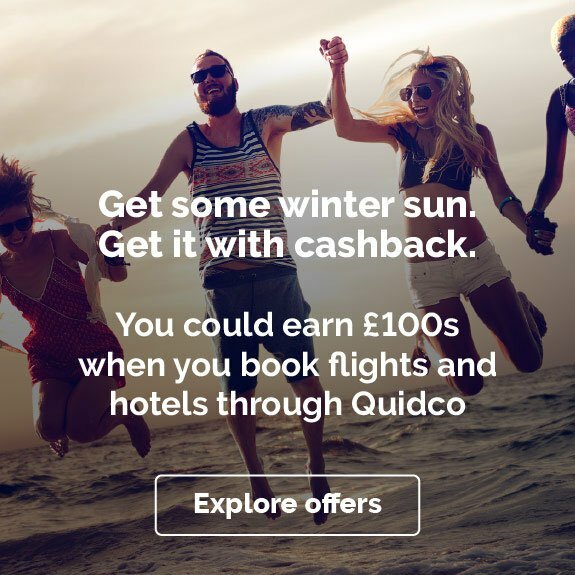 All year round, you can find amazing cashback and offers at lookfantastic with Quidco. There’s even a dedicated Offers page on the lookfantastic site to help you scoop even more deals on huge skincare brands like Foreo; make-up brushes from Real Techniques, essential for any cosmetic bag after a major clear out; stylers and hair dryers from ghd; and luxurious spa products from ESPA. You can even score huge reductions on premium products in lookfantastic’s seasonal sales like the Winter Sale, where you could have picked up an Urban Decay Naked Vault Vol IV Eyeshadow Palette Collection for £195 down from £301. Be on the lookout for more great reductions like this and the occasional Secret Sale, where past events have helped you save on products by entering a code at checkout. As an added bonus, keep looking for the Free Gift tag on certain products where you can find more great offers and bag a few extra goodies if you spend over a certain amount. To earn amazing cashback on the beauty and haircare products you love, keep checking back on this page to see how you could save on lookfantastic.com through Quidco. Whether you’re shopping for a Beauty Box subscription or new MAC cosmetics to overhaul your make-up bag you can find great discounts and cashback offers when you shop online with us. But remember, unless stated otherwise on this page, cashback will not be paid in conjunction with additional lookfantastic discount codes, voucher codes, promo codes or student discount codes that you’ve acquired elsewhere. So do check our terms and conditions if you’re unsure. If you’ve had a great experience with lookfantastic, why not tell your friends about it? By sharing a lookfantastic referral code with them you could earn credits to get money off your next order. And when you refer a friend, they get a discount too. To get your referral code log into your lookfantastic account. You can see all your existing credit from your successful referrals. If you click View Details you can access your unique referral code to share with more friends, plus find unique links to copy and paste to a friend and links to share on your social media accounts and via email. If you need to replace your favourite hair mask or you’re running low on your holy grail foundation then head to Lookfantastic.com to stock up. 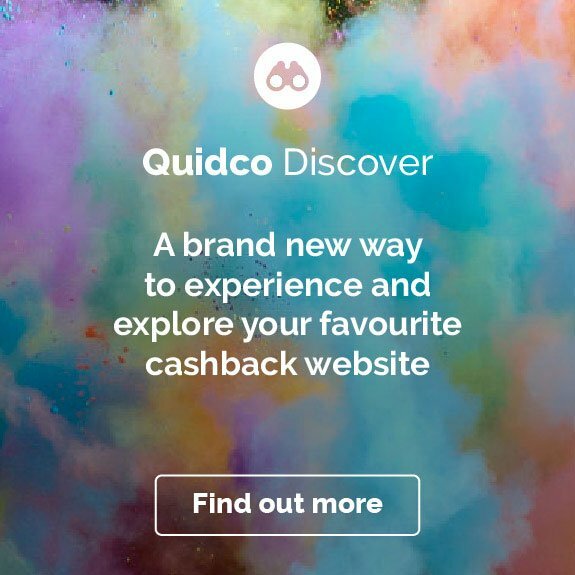 Shopping through Quidco means you’ll earn cashback, but did you know you can also use Lookfantastic discount codes and voucher codes to save even more money? So whether you’re restocking your favourites or you fancy trying a new product out, you can make some seriously good savings on your purchases. Check back on this page to see if a voucher code has been posted and start shopping through the links as usual. 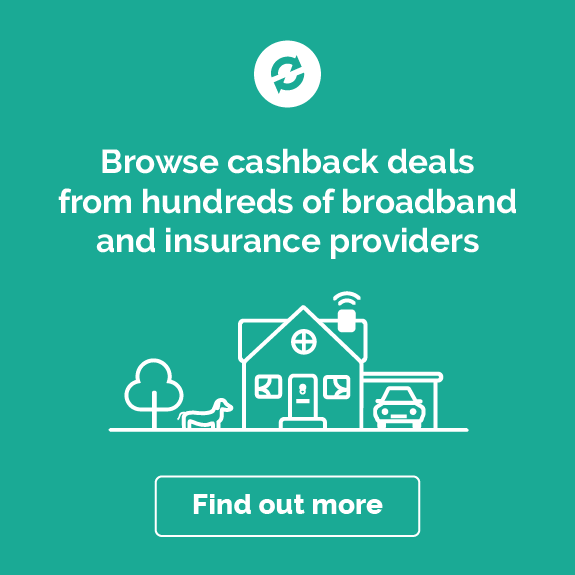 Please note that you should only use the voucher and discount codes that you find on this page as any other third party codes may invalidate your cashback. Should you need to get in touch with the lookfantastic Customer Service team simply log into your account to see all the options available to you. There’s live chat and you can email lookfantastic’s team about an order you’ve placed or your account preferences – just pick from the selection onscreen. If you can’t get your query solved in their message centre, you can also find lookfantastic’s contact number on the Contact Us page. lookfantastic is part of The Hut Group – a British e-commerce company that supports over 100 international retail websites. So if you have any feedback about your service with lookfantastic, you can contact The Hut Group’s Customer Relations Team via email too. Even though we do our best to keep the information on this page up-to-date, it may be out of date from time to time.